I'll admit, I've been looking forward to playing this game ever since it was announced. I secretly hoped that the Wii U version with the gamepad would be the same on the PS3 with the extra abilities of the Vita. It's not quite the same, you can't have 5 players on the PS3 only 4, and on the Vita you can only play with one other player either ad-hoc or internet. What you do have, is an amazing game that will keep you entertained (and challenged) with all it has to offer. 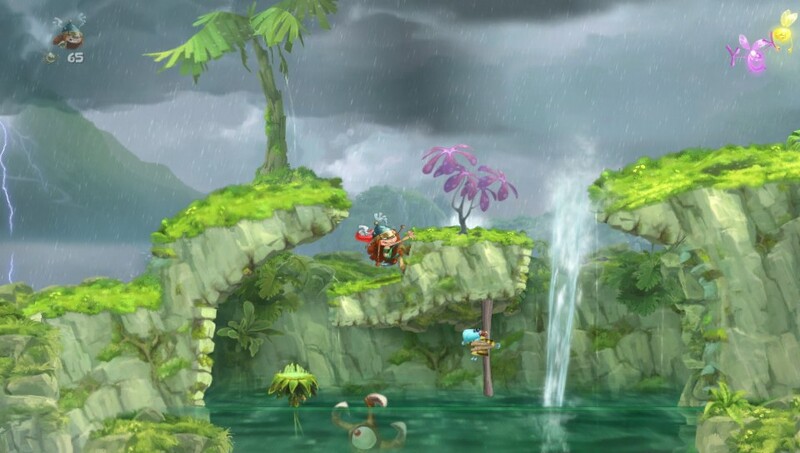 A couple of years ago, Rayman Origins was released, and was an amazing and charming platformer. I never did get to play it on the Vita, but reviews for it always raved about its sharp, colorful graphics, and addictive and challenging gameplay. I do, however, still play it on the PS3 with my children. Well, that is, until I got Legends. If you missed Origins, you get to see remastered levels of that game in here! 1 “Creatures” painting, where you’ll find your collection of Creatures who give you daily rewards. 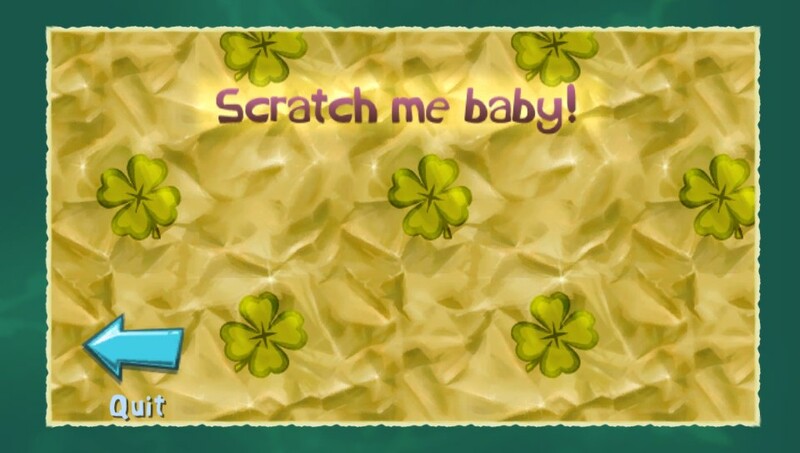 Unlock tons of stuff... like from these scratch its! The game is divided into different types of levels for a total of 123 maps. That is a ton of gameplay for your money! - Musical Maps...some of the most fun and creative things you will ever see. 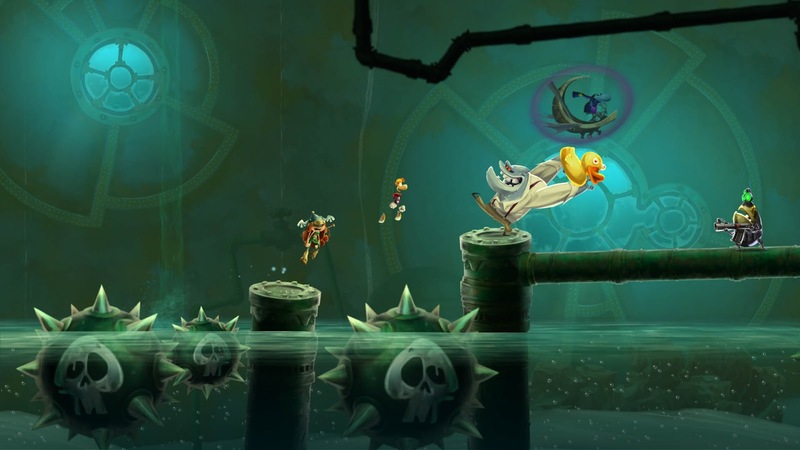 As soon as you start the game up, you are treated to the visual flair that is Rayman. The unique and definitely crazy art style will charm you and draw you into the world. 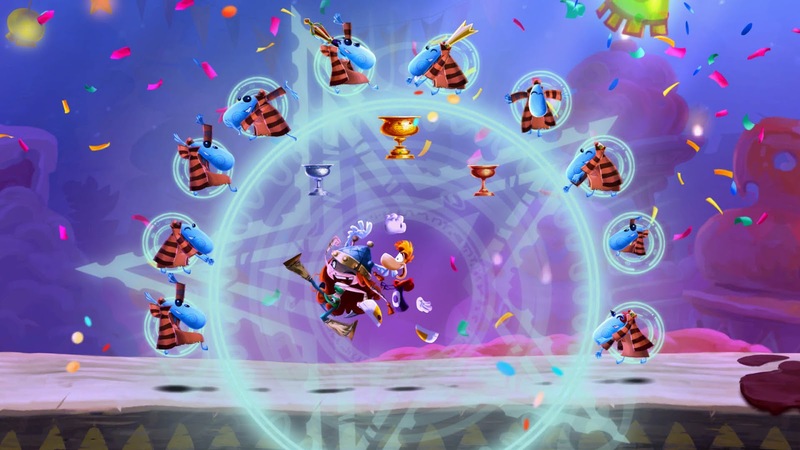 The heroes of the land (Rayman, Globox, and his teensie friends...and a LOT more you unlock later on) are all silly and happy as ever and you'll have a grand time slapping your friends around as you navigate the hub system. 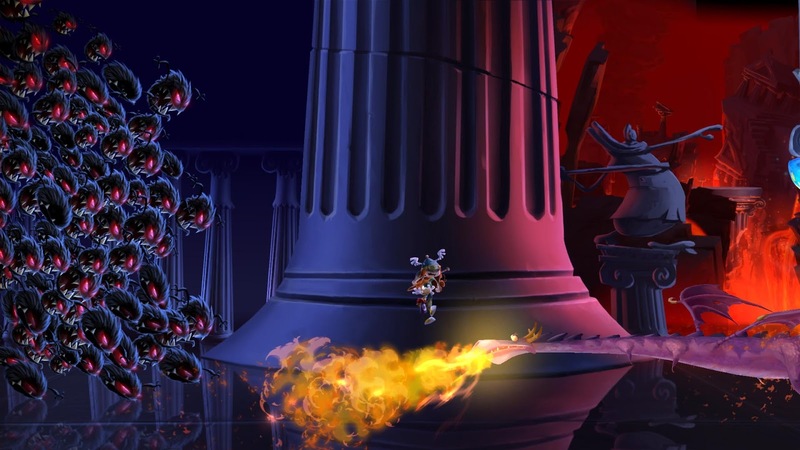 The game is a side-scrolling platformer. It is welcoming enough that my two kids love it (6 and 8) yet challenging enough that I will spend countless hours trying to track down every last collectible/creature/Teensie... It is almost overwhelming at first all the things you get to do in this amazing world. 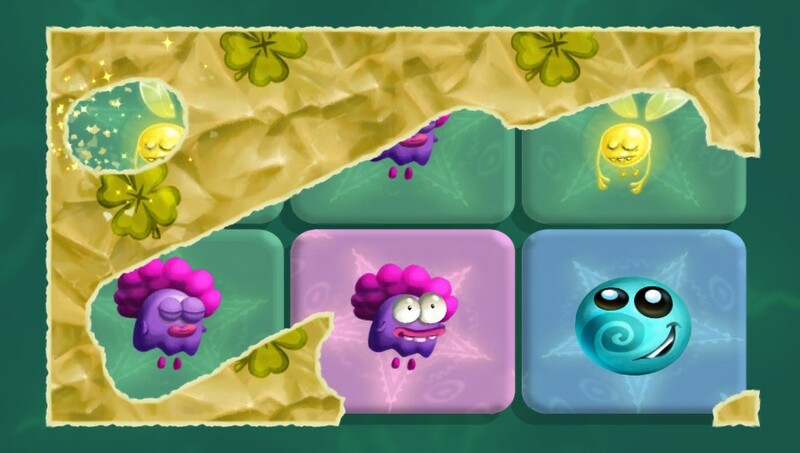 With each completion of a level you are treated to a bevy of unlocks... new worlds, access to new heroes, new creatures (little beings that you find from lucky scratch-its you get from levels)... That rewarding feeling doesn't die down as the game progresses, either. 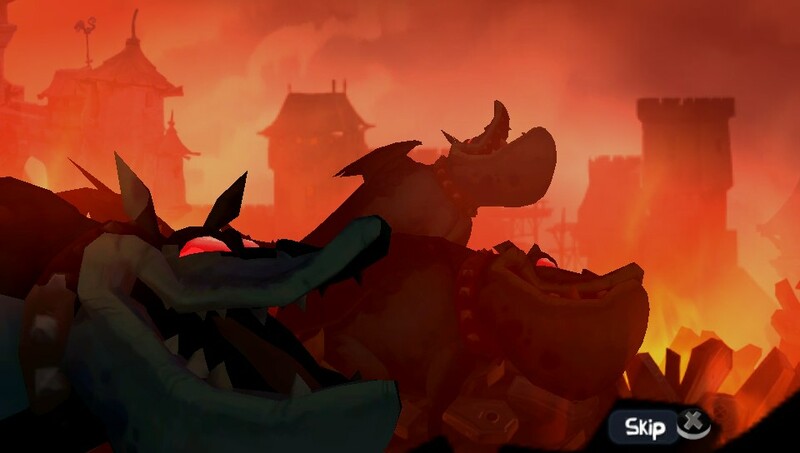 Bigger, badder, and more beautiful enemies! And when you complete the game, there are lots of other things to keep you coming back for more. A fantastic addition to this game is the community feel that comes with it. 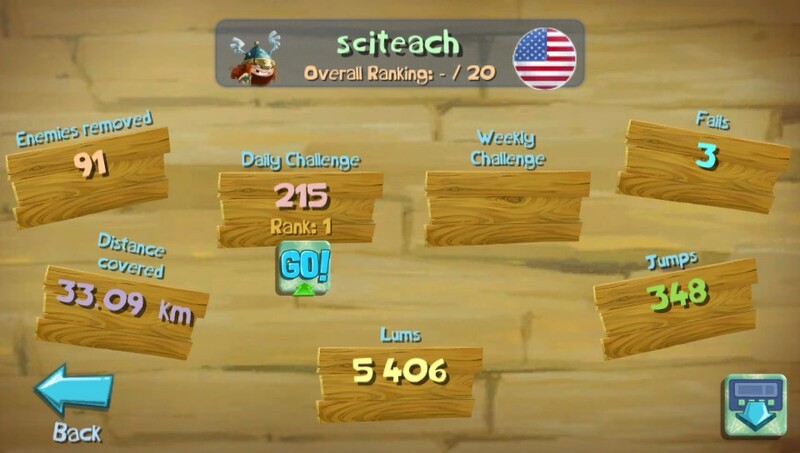 There are daily/weekly online challenges... usually a timed challenge to smash a certain amount of things in a set time frame, make it to the bottom of a pit, etc. You get to see how other people in the world are doing on each event, and gives you an opportunity to stick it in your friends' faces. This is a much better feel than a standard "leaderboard" that just shows high scores. But how does the game play? 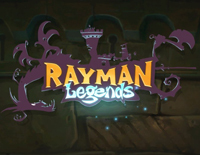 If you have any experience with Rayman Origins, then you are going to be right at home with this one. Controls are so good, and simple. You only have to worry about running, jumping, and smashing. Sometimes shooting, too. A sample control scheme... easy controls! Comparing the difficulty of this game to Origins: this is a little friendlier in some respects, but you'll still be starting, dying, restarting, repeating some levels to get through them, or to find the hidden bits. Single player is a little tougher... the game really rewards you for couching up with a bunch of pals. I find my kids getting more looms in this game as we all play together. Any co-op in the PS3 and XBox versions are couch kinds. No online multiplayer. Maybe that will get patched, but for now if you don't have friends or family around, you're playing solo. 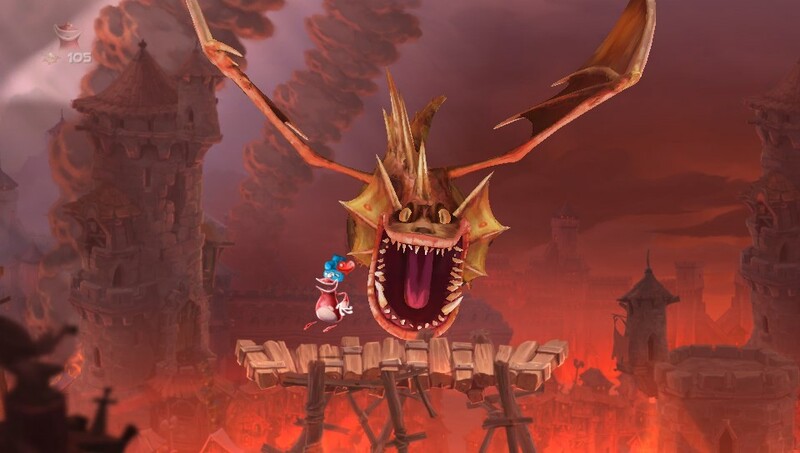 Boss fights are fun and visually a wonder. 3D like action! If you have a Vita, sadly, you can only team up with one other person online or ad-hoc. Wow. Everything is beautifully crafted. The art style is quirky and fun. As you progress in a level, sometimes you glance in the "back" of the screen action and see so much going on back there. 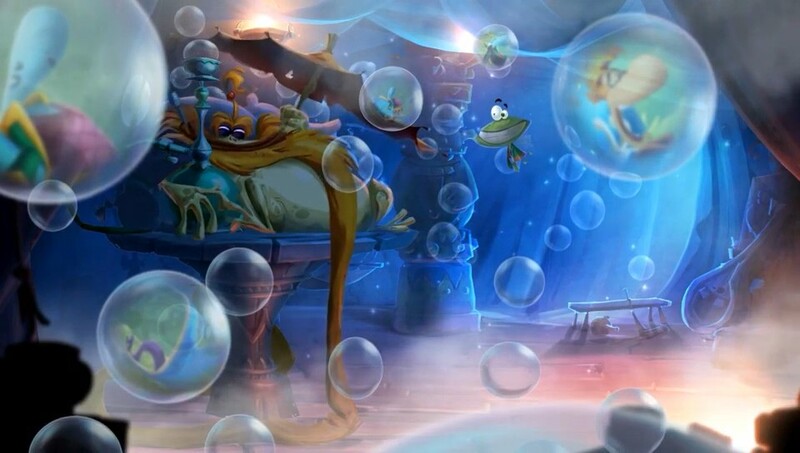 It is a living breathing world with liquid smooth gameplay. Never a hesitation with the framerate. This is a well-oiled machine. Comical, original (although the similarities to Origins are there... but you feel right at home with it! ), effective. Each level has fun sound effects, a different song... and the Musical Levels are just downright amazing. Someone sure had fun finding a song, picking a map, timing the music out to jumps, bashes, slides, bounces... if you play it right, you feel it in the music. I spend a lot of time replaying those levels! 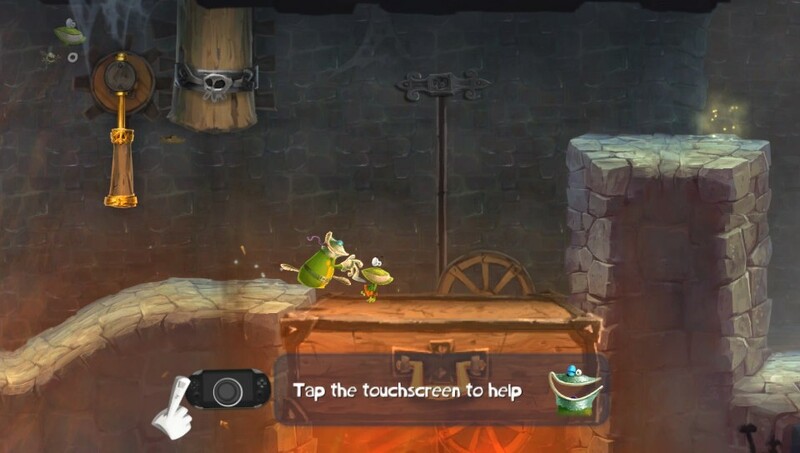 Some of the Murfy levels (a little guy you control with touch controls on the Vita or different buttons on the other versions) can get a little distracting in controls. You want to progress with your character, but you need to have Murfy do something, too. I would find that as the action got crazy and I needed to make split second decisions, I would lose track of my other character and would just die while I did what was necessary for my kids to progress. The menu system with the PS3/Xbox version is a little tricky to navigate when new stuff pops up. You can tell the game was developed originally for the Wii U in this instance... touch controls for menus are so helpful and intuitive. You just can't get the same feel with the controller. 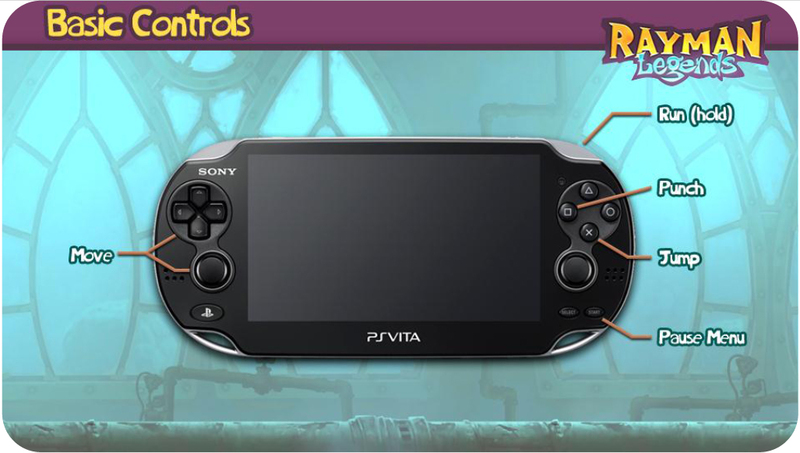 The Vita, however, is superior in this respect as you have the touch controls right there. Accessing new unlockables can be done with a quick screen tap. This is not a game changer, but it certainly is a nice thing for the Vita. I've got constant sidekicks at home when I play on the PS3, so I don't miss the online multiplayer, but I can imagine some will miss that part of the game. And the Vita version, more players joining up online would've been a nice touch. The chaos when you and 3 others are just slapping each other silly around the screen is a hoot. If you have a choice to make between these versions, here's what you need to think about. 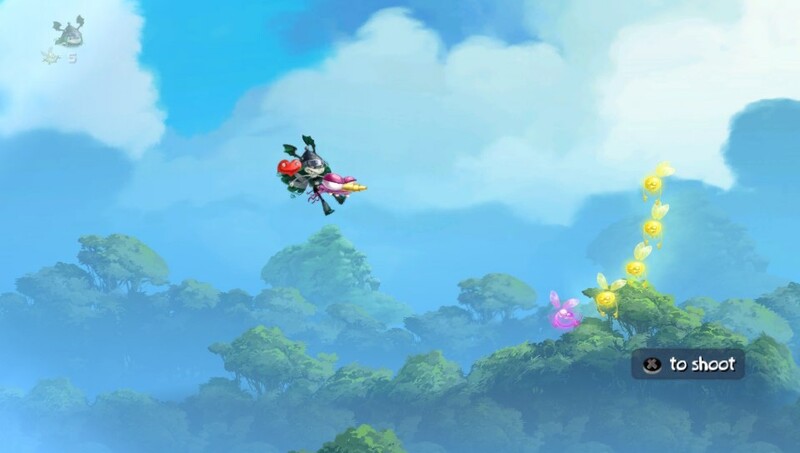 The Vita version is perfect for single player on the go action. The performance on this console is as good as the others, and man oh man the visuals sure look amazing on its screen. You won't be able to hang out with more than one person (if they have a Vita for ad-hoc). You get some fun extra Murfy missions not available on the other systems, as well! PS3 and XBox 360? Frenetic multiplayer co-op on the couch is a ton of fun. Get some friends over, or let your kids take over for awhile... it is a total family friendly game fit for young and old alike. You owe it to yourself to pick up this title. Ubisoft has created a wonderful masterpiece that can be shared on all consoles and you would be missing a huge title if you let this pass. 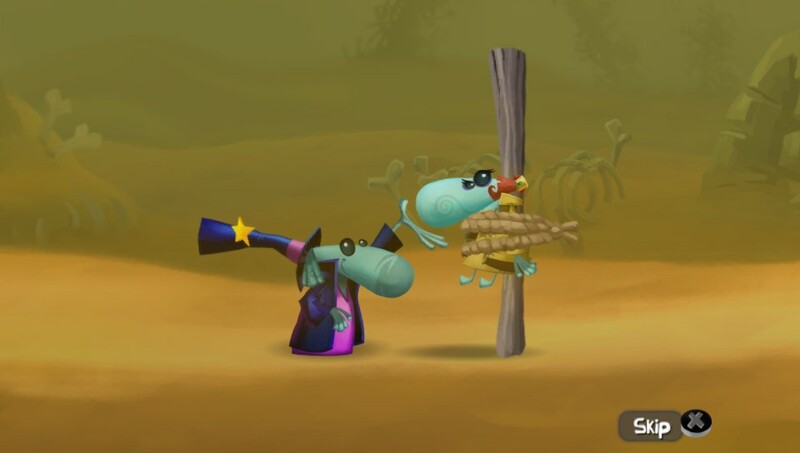 Get ready to slap your friends silly as you jump, battle, rock and stomp through this creative game. Thanks to Ubisoft for providing review copies of the game. Comment below! Have you played Origins? Are you getting this game? Which version(s)?